Win Tickets to the "Big Game"
ARE YOU READY FOR SOME FOOTBALL, TEXAS STYLE? The Colchester Milton Rotary Club in collaboration with the Rotary Club of Indian Rocks Beach is proud to present the “Big Game Raffle” event. This is one of the club’s fundraisers, the proceeds of which, have helped support many projects over the years. 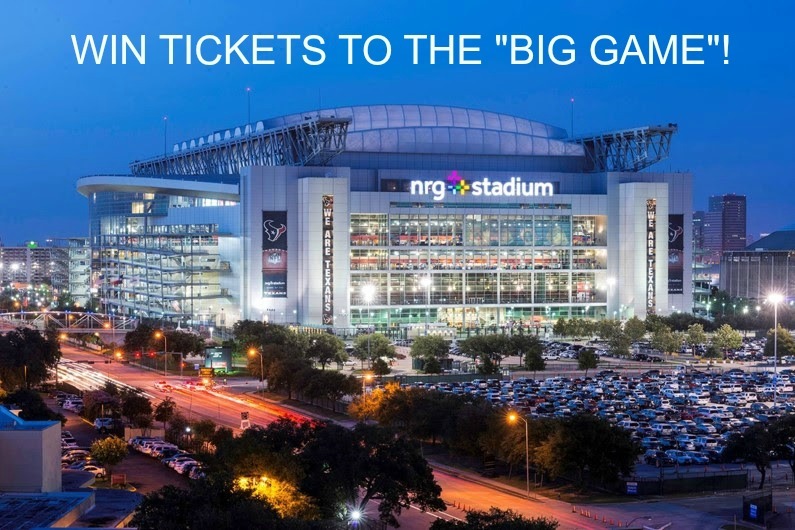 The Grand Prize winner will receive two tickets to professional football's 51st biggest game (February 5, 2017 at NRG Stadium, Houston, TX), four nights lodging at the Hampton Inn, Houston, TX, and $1000 cash. Second prize is $1000 and Third prize is $500. Chances to win any of this year's prizes can be obtained with a donation of $5 for one (1) ticket and $20 for five (5). Chances can be requested from any Colchester Milton Rotarian or by contacting Kiki Leech. This year the ticket drawing will take place on December 11th, 2016 at 5:30 PM at Slyce Pizza Bar, 311 Gulf Blvd, Indian Rocks Beach, FL.